There are many great features, you can vote for your favourite shows, view the workshop schedule, use the GPS direction to find all the venues, participate in prize draws, contact us directly in app and watch videos of the artists. 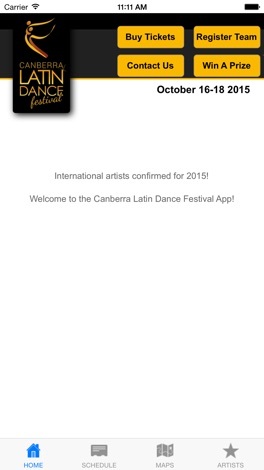 We are proud to announce that the fourth Canberra Latin Dance Festival in 2015. 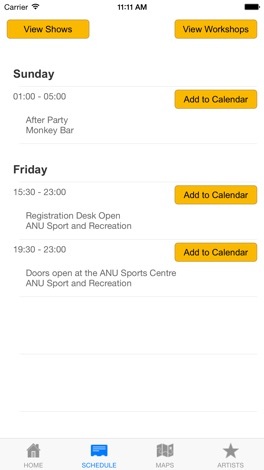 It will be held over the weekend commencing Friday, 16 October to Sunday, 18 October 2015. Two days and three nights of back to back first class workshops, amazing performances and parties. 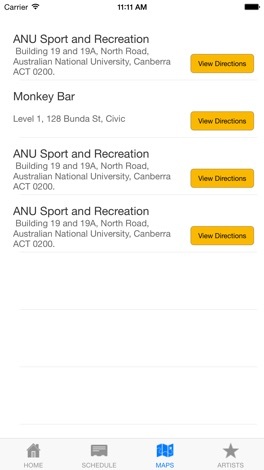 All held under the one roof at the Australian National University (ANU) Sports and Recreational Centre. There will be two party rooms, so you can dance all night long to your favourite Latin Dance Styles: Salsa, Bachata & Zouk Lambada. Our passion is to encourage a life of peace and purpose. Looking to become more peace-filled and meditative? We've got you covered. This app gives you access to inspirational peace-filled wisdom throughout your day. Use this app to help you mediate and embrace peace wherever you go!